Mr. Shah’s practice involves corporate transactions, general litigation, and criminal defense work at the appellate level. Prior to joining the firm, Mr. Shah joined Globetrotters Engineering Corporation, an infrastructure engineering firm, as General Counsel. 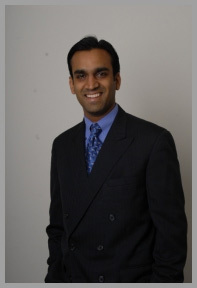 Mr. Shah received his undergraduate degree from Purdue University in Mathematics and Computer Science. At Purdue he participated in a summer study abroad program at the University of Oxford in Oxford, England.